First let me say - I love you. I love you and our children more than I could ever write in words... I didn't want to leave you. And so begins Emily Bleeker's newest book, When I'm Gone. This heartbreaking novel opens with Luke returning home from his wife's funeral. He is then faced with the daunting task of raising their three children alone. That same afternoon, he notices a blue envelope with the words To Luke written in his wife's handwriting across the front. Inside is the first of a series of letters from Natalie to Luke that keep arriving to their home in the mail. All of the letters were written before Natalie passed away. As more and more letters arrive, Luke's obsession with them grows. Who is sending the letters? How many are there? When will they stop? What is the big secret Natalie keeps mentioning? This book hit home for me for a few reasons. To begin with, the whole premise of a widower with young children reminded me so much of my friend Jaclyn who passed away last fall from breast cancer and left behind her husband and two young children. Secondly, Luke and Natalie's youngest son, Clayton, is 3 years old and turning 4 - the exact same age as my own son. When Clayton clings to Natalie's old phone to hear her voice on some recordings, it broke my heart that he now saw his mother as simply a phone. I can't even begin to imagine what it would feel like to know that you will not watch your children grow up. What would I leave behind to help them move forward? I found the novel very well-written. I was hooked from the beginning and always curious about what Natalie's next letter would say. The author captured their love story clearly, and it was very sad to know they had been separated too soon. Other than when Natalie uses one of her letters to encourage Luke to go on a few dates, which I found to be a bit strange, I really connected with Luke easily as a character. He was such a loving dad and tried so hard to hold himself together while caring for his kids. When I'm Gone was not a predicable read and there were a few serious twists in the story that kept it interesting. Even the dating part that threw me for a bit in the middle of the book resolved in a way that I was happy with in the end. 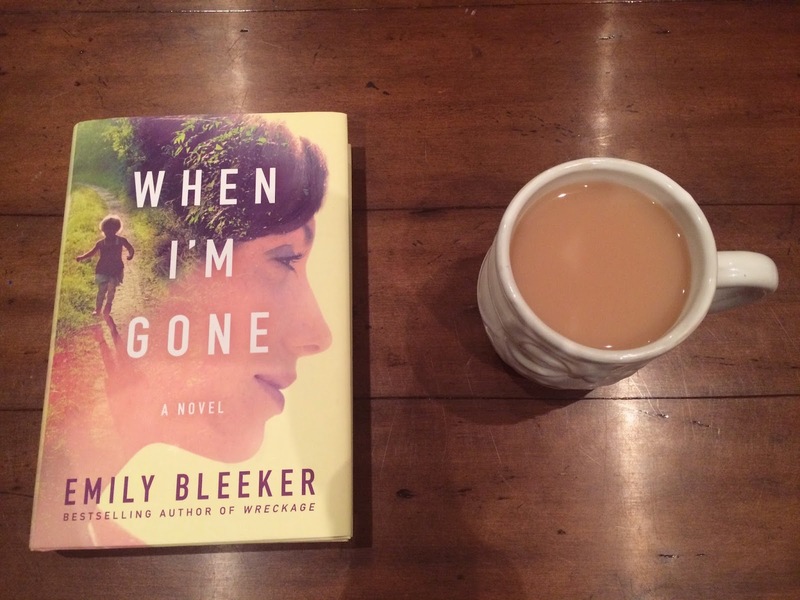 For any reader who loves women's fiction, you will enjoy When I'm Gone. To find out more about the author, Emily Bleeker, visit her on her website, Facebook, or Twitter. Disclaimer - I received a copy of this book courtesy of the author and TLC Book Tours. All thoughts and opinions are entirely my own. If you'd like to see what some other bloggers thought about this book, you can check out the full tour here.